The needle thru balloon magic trick includes 12 balloons to start you off. Each balloon is only good for one performance. 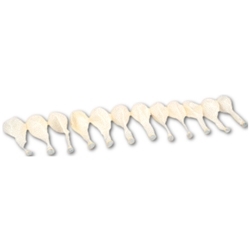 We offer this pack of a dozen (12) extra balloons so that you can continue to perform the trick over and over again. If you are not familiar with the trick, it is easy to perform with specially designed needles and balloons. After a balloon is inflated, a long sharp needle is passed all the way through the balloon and it magically doesn't pop!